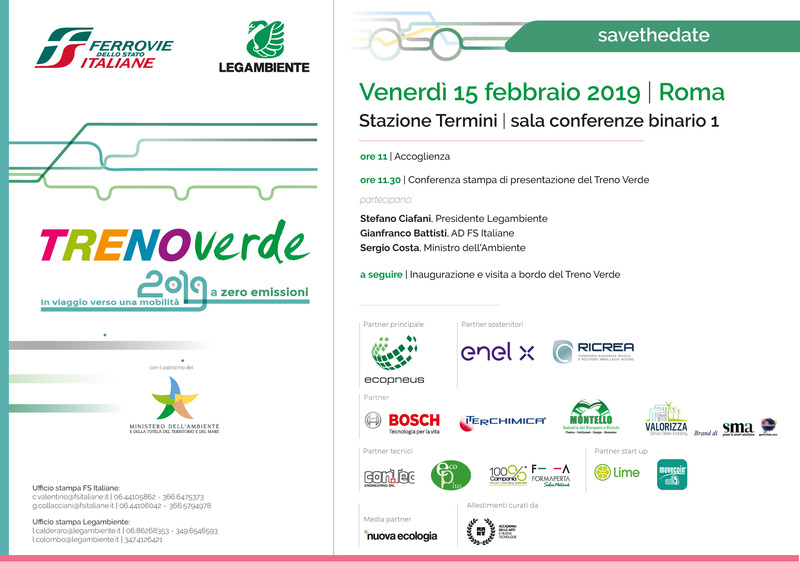 On the 15th of February the journey of Treno Verde will be inaugurated: from Palermo to Milan towards a zero emission mobility. From February 18th to April 5th the train of Legambiente and FSItaliane will stop in 12 Italian cities with the aim of promoting more sustainable mobility for a better quality of life in urban centers. The inauguration ceremony starts at 11:00 a.m. in the conference room at platform 1 of the Roma Termini station.